Last Sunday morning was the rescheduled Aghada Race with Race Officer Peter Webster electing to send the fleet around the cans for this Race . With a light Westerly wind on a Beautiful Summer morning the fleet of 9 Boats reach across to Cork beg against a ebbing Spring tide of about 2 kts and then slowly on a beat to No 12 where The Tingles on Alpaca stretched out to lead the pack over to No 11. The long beat back to Cage slowed all boats to a crawl as Bad Company, Rioja & YaGottaWanna fought the strong tide to round Cage. Then for Round 2 it was down to No 7 where Brian Jones on his 1720 Cosmic decided to wash his Kite in a freshening South Westerly wind. 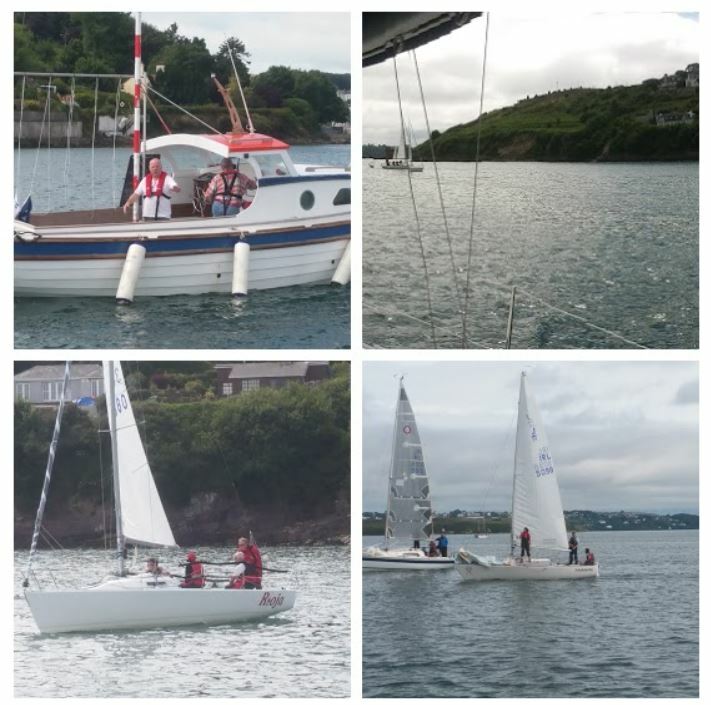 The fleet then back to No 5 and a stiff beat to the finish line at Cage , where all boats finished and were back in the Club House in time for the Big Game between Ireland & France. Look forward to see you all out this Thursday night. 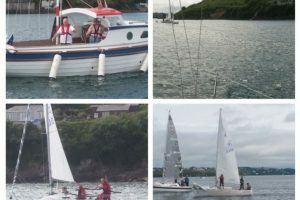 Schedule of races for July, Combined clubs White Sail League in Cork Harbour.